In any business storage and filing is important. Northwest Modular Systems Furniture has many storage and filing choices. We have new and pre-owned storage and filing systems. We have cherry laminate bookcases, pedestals, lateral files and cherry laminate storage cabinets. Our storage and filing systems allow you to store books, manuals, office supplies and important files. Your office and other workspace will look professional and organized. You can get storage and filing systems on wheels for easy moving and re-positioning. New storage and filing systems go with the new look of your office. 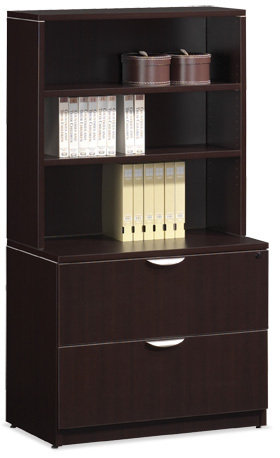 We have new storage and filing systems for executive offices, private libraries and workstations. Need to replace old and creaky filing cabinets? Replace them with new lateral files. We also offer storage and filing systems with pedestals. Some options include cherry and maple laminate bookcases and cabinets. Our cabinets and files come with locks for extra security. Improve the efficiency of your office with our new storage and filing systems. Stay within your budget with our pre-owned storage and filing systems. Pre-owned storage and filing let’s you spend money on other business needs. You’ll get the same use and quality as new storage and filing systems. Pre-owned storage and filing systems are great for new businesses. You can pick up items yourself or we’ll deliver them. Stay in the black with pre-owned storage and filing systems. Contact us for your free office furniture consultation. Save more and get more at used office furniture supplier today. Copyright ©	2019 Northwest Modular Systems Furniture | All Rights Reserved.